With the blessings of Her Holiness Satguru Mata Sudiksha Savinder Hardev ji Maharaj and under the auspicious guidance of Rev. 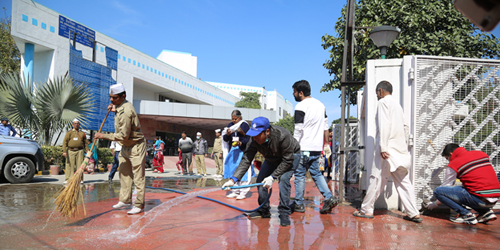 Bindiya Chhabra ji, Executive President, SNCF Cleanliness Drive was held at Ram Manohar Lohia Hospital, Delhi on 02nd October 2018 which was a day remembered as a tribute to Mahatma Gandhi on his 150th Birth Anniversary. 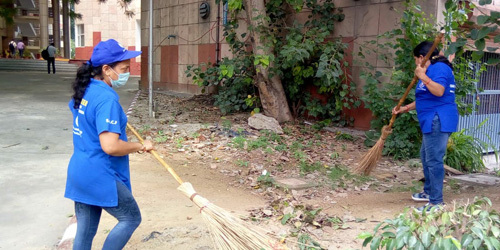 This drive was part of the three-day cleanliness campaign at RML, Hospital which have begun on 25th August 2018 by SNCF. 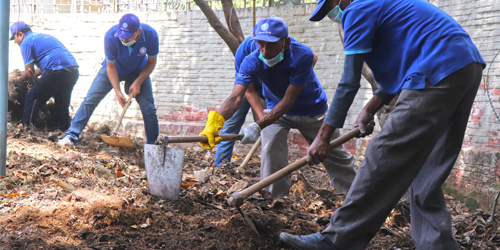 The cleanliness drive began with the assembly at 07:00 AM with the presence of around 800 SNCF volunteers and in the presence of Dr. V.K. 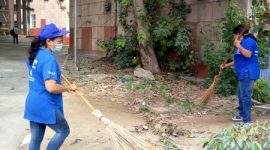 Tiwari, Medical Superintendent, RML Hospital and Sh. C. L. Gulati, Secretary, SNCF. 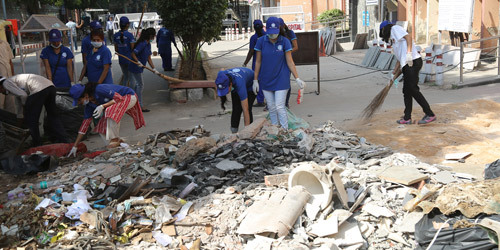 The drive emphasizes its focus on the inner lanes, roads and parks where waste building materials were lying unattended and has been accumulated over the time. 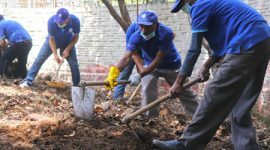 Dr. Tiwari while speaking to media said that “ I have never seen such a devotion towards cleanliness and to spread awareness about the hygine”. 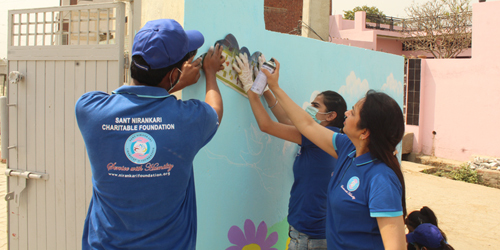 The drive concluded at 11:30 AM which was highly appreciated by the hospital administration, staff and even the local patients with in the hospital.